Science Exchange, the leading marketplace for R&D services, announced a collaboration with Applied Pathology Systems to offer online access to its histology services, including paraffin H&E staining, immunohistochemistry staining, special stains, frozen sectioning, and whole slide scanning to scientists around the globe. 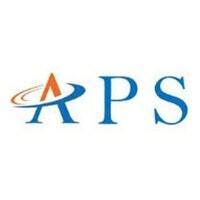 Applied Pathology Systems is a CRO dedicated to providing high quality histology services to help biotech and pharmaceutical companies fight against human diseases. Their mission is to provide high quality of histology services to support researchers in life science laboratories. Applied Pathology Systems is located within the Maple Avenue Campus of University of Massachusetts Medical School, Shrewsbury, Massachusetts. Their laboratory is staffed by experienced histologists and is supervised by an United States board-certified pathologist. The combination of their state-of-the-art histology laboratory and their extensive research experience allows the team to deliver high quality histology services and accurate data interpretation to clients. Applied Pathology Systems has also developed a comprehensive list of clinical tissue specimens covering a wide range of cancer types with detailed annotated clinical data to further support related research and development.